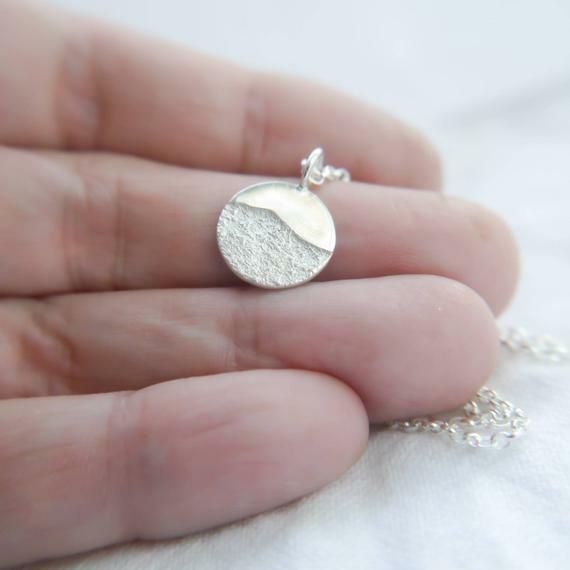 This 'moonrise' necklace is modernist simplicity exemplified. 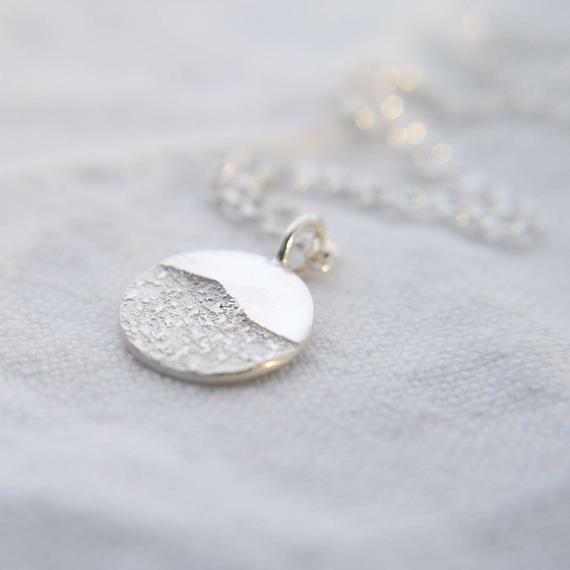 It is designed and handcrafted in England using the highest quality recycled sterling silver. It is finished with a high shine on the smooth half and a satin finish on the textured half to create an edgy contrast. Pairs beautifully with the matching moonrise earrings. 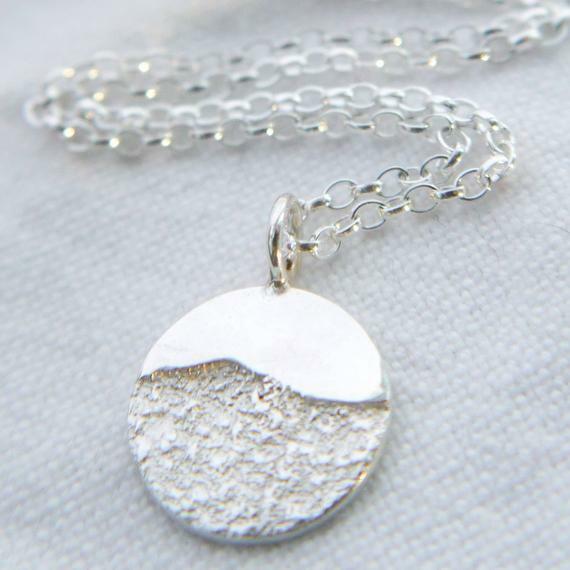 Materials - Recycled silver pendant with standard sterling silver chain. Product Packaging - Oeko-Tex certified cotton bags and recycled tissue paper. 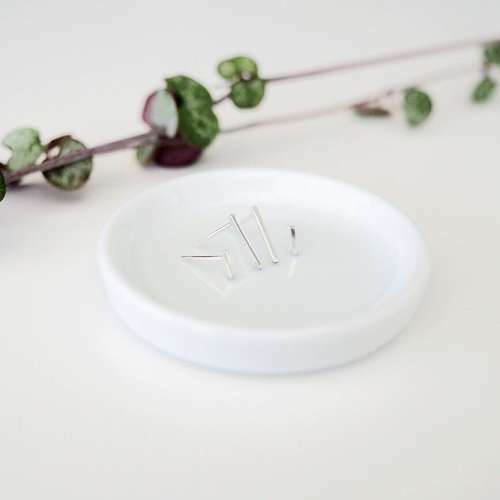 Little Imp jewellery is made by Sarah, an independent jewellery maker who creates beautiful minimalist modern jewellery which combine an eco-conscious ethos with striking designs. 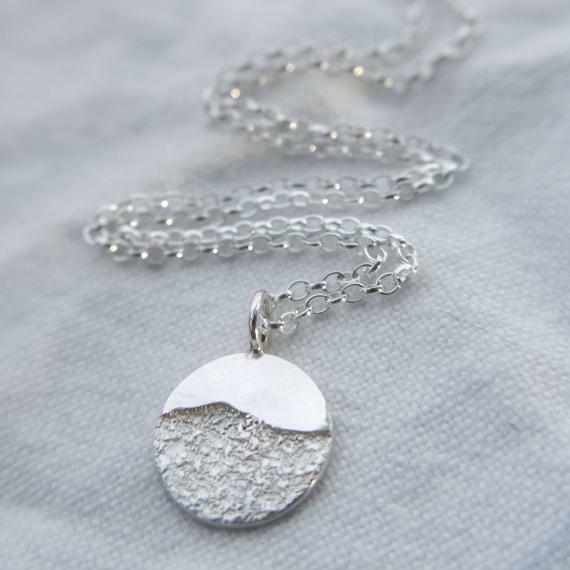 Each piece is handmade by Sarah in her Hertfordshire studio using recycled silver and environmentally friendly materials for the packaging. Sarah also reduces the amount of chemicals commonly used in jewellery making, using green alternative instead and all polishing compounds are not animal fat based, making the jewellery suitable for vegetarians or vegans. Delivery Packaging - Eco friendly recycled cardboard. This necklace is made to order. Please allow 5-7 days for it to be made before being shipped.